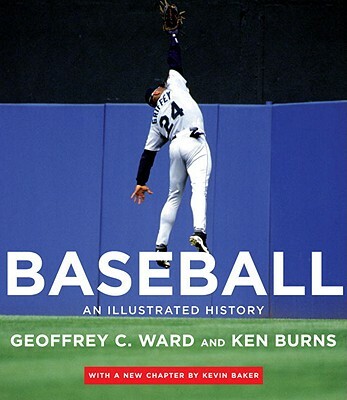 The acclaimed nationwide best seller and companion volume to Ken Burns’s grand-slam PBS documentary—updated and expanded to coincide with the broadcast of a new, two-part Tenth Inning that looks back on the age of steroids, home-run records, the rise of Latino players, and so much more. Geoffrey C. Ward is a historian and biographer and the author of fourteen books. He won the National Book Critics Circle Award in 1989 and the Francis Parkman Prize in 1990. He is also the winner of five Emmys and two Writers Guild of America awards for his work for public television. He lives in New York City. Ken Burns’s films include The National Parks, Jazz, Baseball, and The Civil War, which was the highest-rated series in the history of American public television. His work has won numerous prizes, including the Emmy and Peabody Awards, two Academy Award nominations, and a Lifetime Achievement Emmy Award. He lives in Walpole, New Hampshire. Kevin Baker is the author of the City of Fire trilogy and was the chief historical researcher for Harry Evans’s The American Century.